Technical failure caused overhead wire breakdown in Mansarovar station. The train services on the Harbour line was disrupted once again on Thursday due to a technical failure. The condition is said to have caused by the overhead wire breakdown in Mansarovar station. Due to this disruption, the train services between Panvel and Belapur stations have been affected. The passengers from Panvel and Manasarovar stations have been informed about the incident. The Harbour line railway schedule has also collapsed thus making the passengers face the blows. Due to the disruption and delay at a rush hour, the crowd of at the railway stations have also increased. However, no information has been given about the time that the railway administration will take to correct this problem. Work to resolve the problem has started, train services resume. "Services between Panvel and CSMT on harbour line resume," tweeted the Central Railway. Reacting to the delay and disruption, people tweeted expressing their discomfort at the situation. dear Sir, @PiyushGoyal today local trains of harbour line in #mumbai r not running due to an issue. in this situation we are dependent upon announcements 4m @RailMinIndia but d announcements made are not clear n speaker output is so bad that it's of no help. plz do look into it. "Due to OHE problem between khandeshwar and Panvel, harbour line services are delayed. Work to resolve the problem already started. Kindly bear with us," tweeted the Central Railway. The train services have been affected between Panvel and Belapur stations. The passengers from Panvel and Manasarovar stations have been informed about the incident. 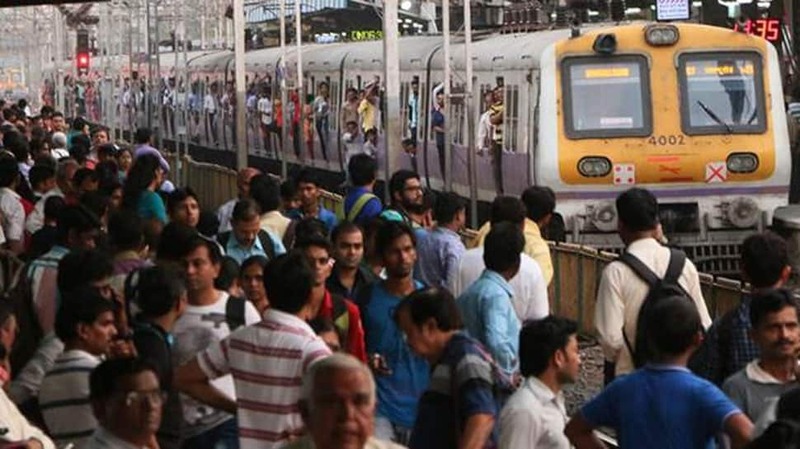 The commuters of Mumbai's Harbour line are facing inconvenience due to a technical failure. This condition is said to have caused the overhead wire breakdown in Mansarovar station.